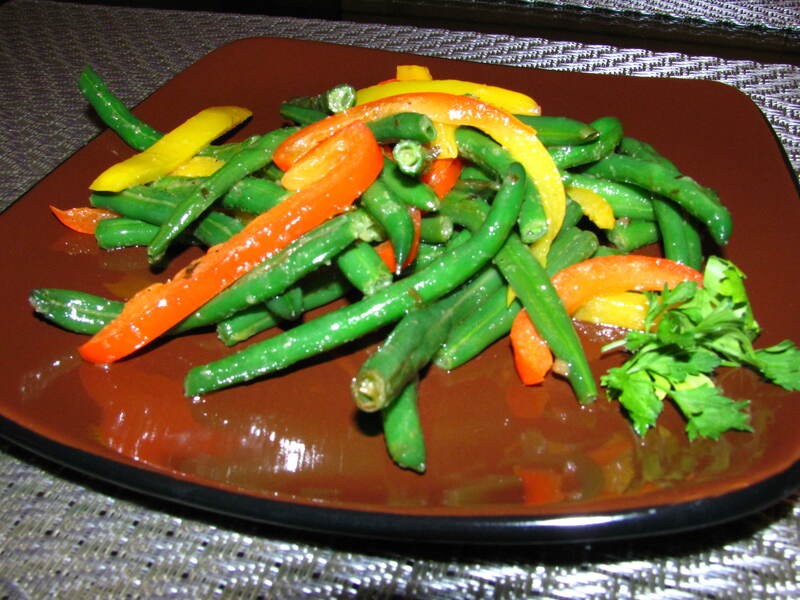 Green beans and peppers are some of my absolute favorite vegetables. I probably love green beans because I grew up in Alabama and they remind me beans fresh from my grandfather’s garden, but I know I love peppers because they are in so many of my favorite Thai dishes. This is a super simple side dish that can accompany any Italian meal (or with whatever meal you want these tasty veggies) – think eggplant parmesan or vegetable manicotti. What’s truly great about this recipe is that it can be served either hot or cold. 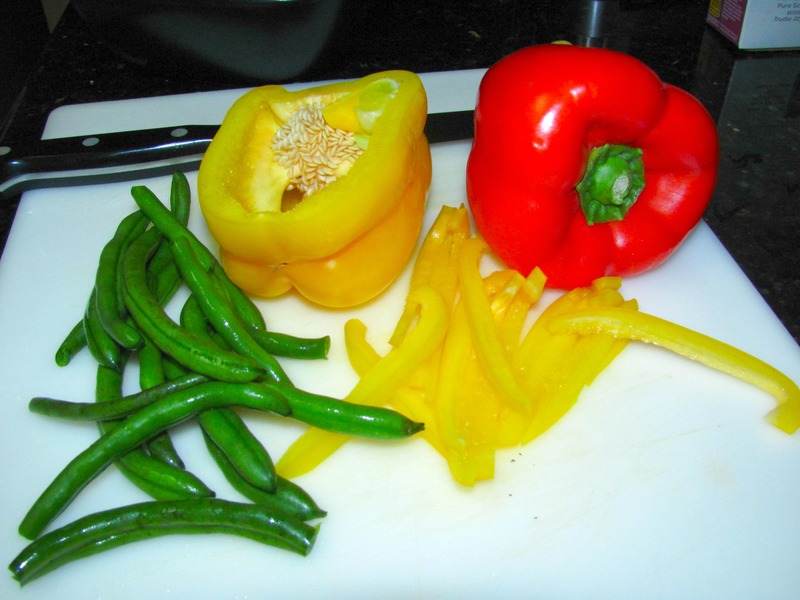 Begin by cutting those ends off the green beans, and set aside as you thinly slice the peppers. Heat oil in a medium/large skillet on medium to medium low heat. Add veggies, onion powder, garlic powder, salt and pepper to taste. Sautee until vegetables begin to turn slightly soft (about 12-15 minutes). Do not let the veggies overcook and become soggy or mushy or that ruins the crispness of the veggies you’re going for. When the veggies are finished, remove from heat and toss with Italian dressing. Serve hot or let chill and then serve. Makes 4 servings.